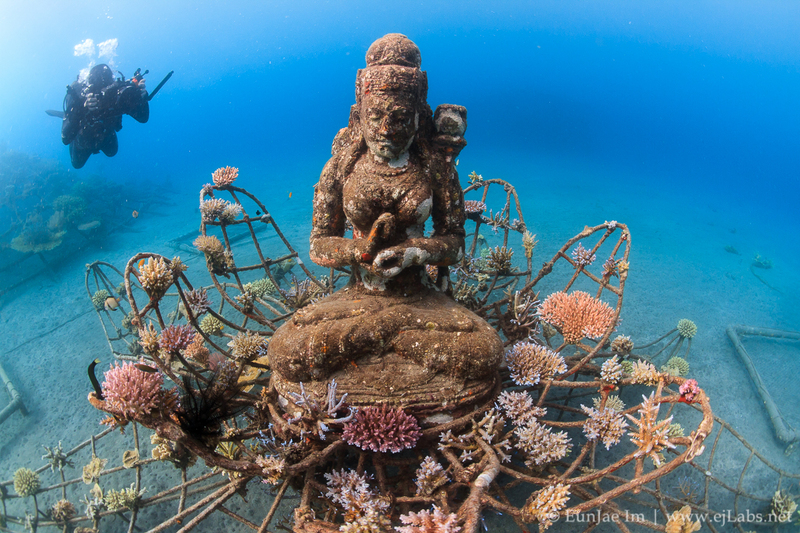 The Coral Goddess, Bio-Rock Pemuteran, Bali, Indonesia (License image). I have many hours of Full HD, 4K UHD Underwater Stock Footage available for licensing. Please contact me to discuss any custom requirements. Please visit my Vimeo or Youtube channel for more video. You can find and download some of my footage through my agents Pond5 | Shutterstock | Adobe.